This is very rare opportunity to buy a property in the heart of Capo Vaticano, one of the most sought after locations in Calabria. Capo Vaticano is a must visit location for those who travel to Calabria and has been classed as one of the most beautiful areas of natural beauty and coastline in Italy. With famous beaches such as Grotticelle and San Nicolo within easy walking distance from the Il Giardino degli Ulivi development, it is one of the few new buildings to be approved in this area. 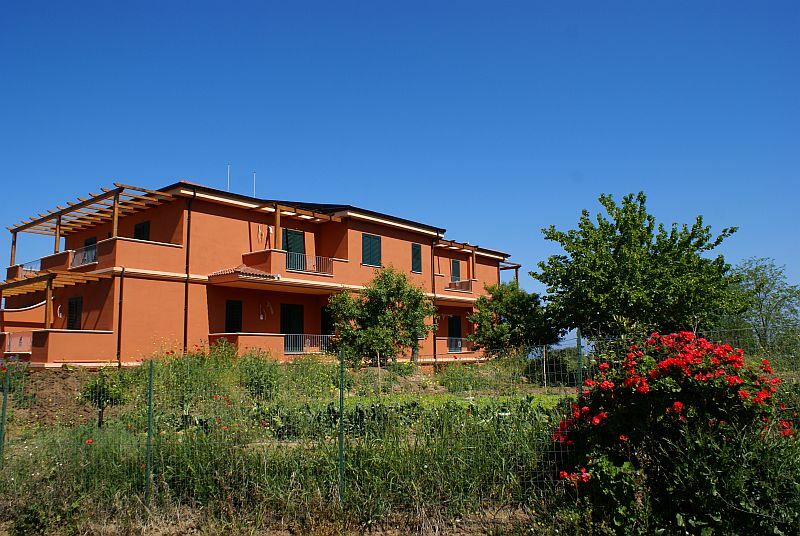 Surrounded with olive groves with views of the Tyrrhenian Sea the location is ideal for those looking for stunning natural beauty with all amenities just walking distance away. The development is situated close to the local train station making visits to your apartment a car free holiday experience. The development has been built in a L-shape so as to enclose the site in a secure gated environment with a large central pool and sunbathing area for use exclusively by the owners of the apartments. From every apartment on Il Giardino degli Ulivi there are large terraces where sunbathing or bbq’s looking out over the incredible sea and green landscapes behind. Many of the apartments will be ready to move into and prices start at only €95,000 for a 1 bedroom & €139,000 for a 2 bedroom. Soverato is well known in Italy and fittingly perhaps is called the “St Tropez of the South”. The town runs down to a beautiful sandy beach and being one of the most important centres in Calabria has a stunning selection of shops, restaurants, clubs and bars. Excellent travel links, combined with a temperate climate means Soverato certainly lives up to its reputation. The Development consists of luxury villas on a private estate in landscaped grounds, all enjoying extensive views over the lovely Bay of Squillace and finished to a great standard. Conveniently located for the beach, town, marina and golf course, these fantastic properties offer all year round appeal. For people looking to purchase a property virtually on the Beach, this beautiful development offers a unique collection of studios and apartments, stylishly set in gloriously landscaped gardens. 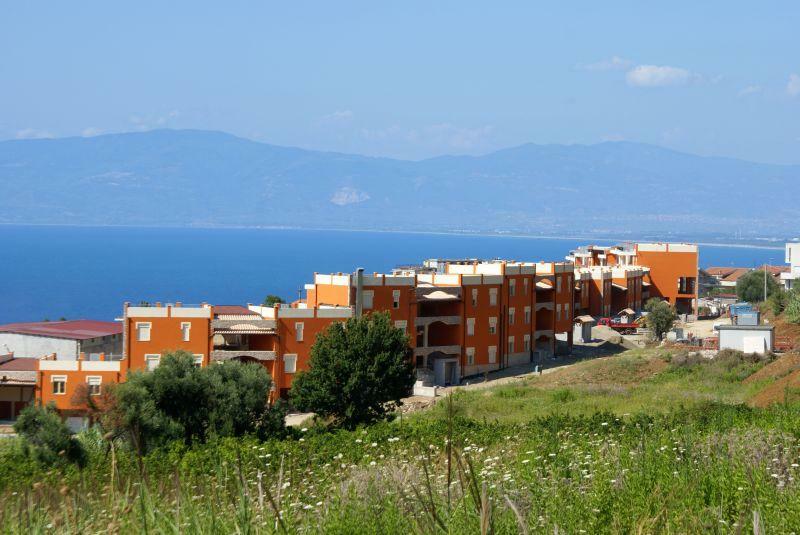 Affording sea views and with a stunning mountainous backdrop, the Resort is perfectly located for easy access to the numerous bars, restaurants and shops in the local neighborhood. For visitors flying in, Lamezia International Airport is very close and has the undoubted benefit of being only a short drive away. On site, there is an extensive range of facilities and apart from the stunning shoreline the Tyrrhenian Beach Resort incorporates restaurants, a beach bar, swimming pools, a children’s play area, as well as a mini market for all those necessities without the need to travel. So for a long weekend or for extended periods this popular development delivers a combining of exceptional value for money with the ambience of a relaxed and convivial Italian lifestyle close to the beach.